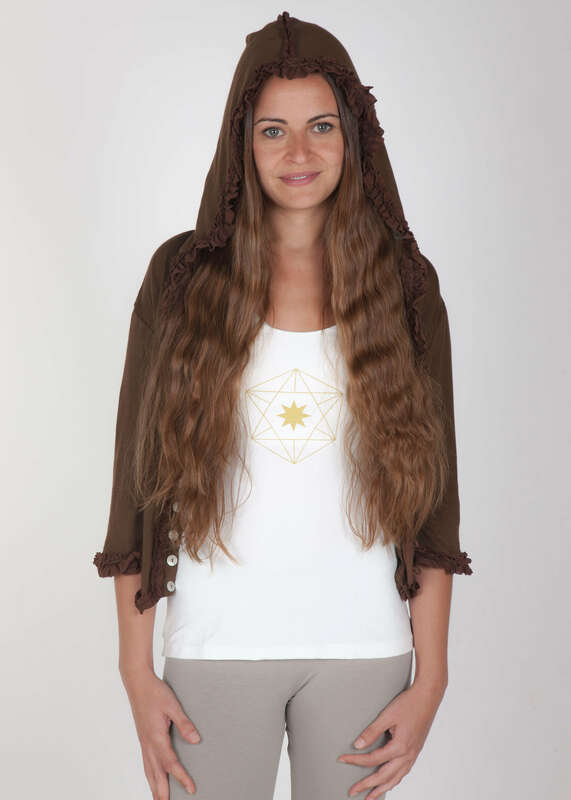 Soft like a breath, made in our lightweight pure cotton to wear after your yoga practice for that little extra warmth. 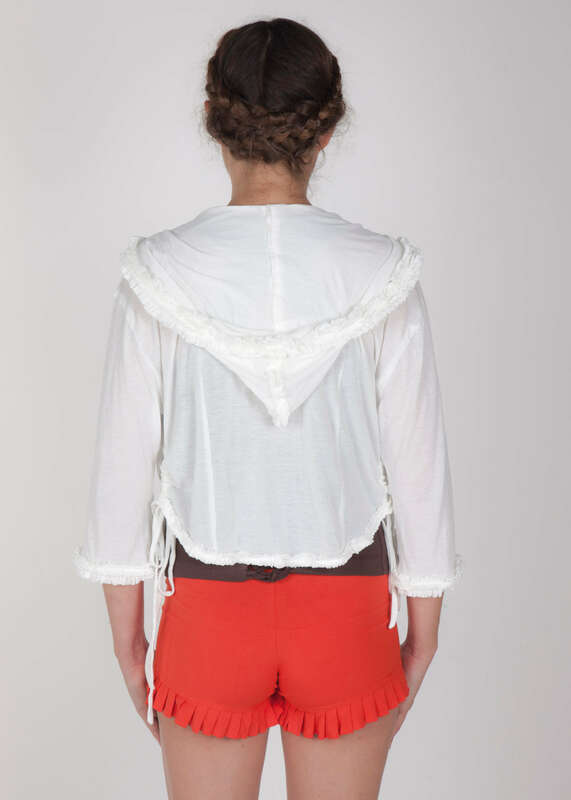 Such a scrumptious piece, with mother of pearl buttons, frills all over bottom edge, cuffs, center front and hoodie. Drawstrings at both sides add another point of interest. A sweet accessory to liven up any ensemble. Available in Off White, Sky, Olive and Chestnut. You can see our colour chart here. Available in Off White, Sky, Olive and Chestnut.